Lost Filling? Visit an Emergency Dentist in Brookfield for Help! Did you bite down on a piece of food only to feel your dental filling fall out? Maybe you were playing sports but left your mouthguard at home, only to be struck and have your filling knocked out? Regardless of the circumstances, a loose or lost filling is not something that should be put off. The moment your filling comes out, you should schedule a visit with an emergency dentist in Brookfield. Here’s why! Comments Off on Lost Filling? Visit an Emergency Dentist in Brookfield for Help! Last week Friday and Saturday the Wisconsin Dental Association and WDA Foundation’s “Mission of Mercy” were able to treat as many as 2, 000 people and they were able to receive free dental care in West Allis. Dr. 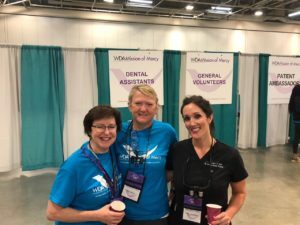 Tack and our consultant Nan were amongst more than 1, 300 volunteer dentists, dental hygienists, assistants, dental students, and community helpers from nearly 200 communities! Thank you Dr. Tack and Nan for providing your time to help many people smile again! 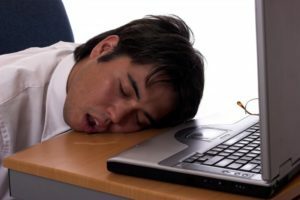 For many people, drooling when they sleep is an embarrassing, regularly occurring event. Still, it’s often dismissed as just a fact of life – something to keep hidden. Your dentist in Brookfield says that you don’t have to continue dealing with this issue, though. 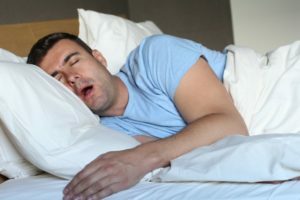 As you read on, you’ll discover seven ways to stop nighttime drooling and prevent any related problems. Is it common for you to wake up in the morning with a wet spot on your pillow from drooling while you sleep? This can be quite embarrassing, but you’re not left to just deal with this problem. 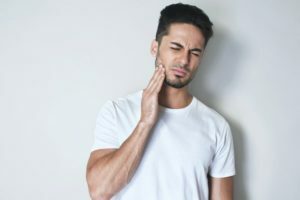 Your dentist in Brookfield gives some reasons for why this may be happening and solutions for how to prevent and correct the situation. Read on to learn more! May 4th, 2018, Connie officially began her second act in life by retiring from Elmbrook Family Dental and the front desk! 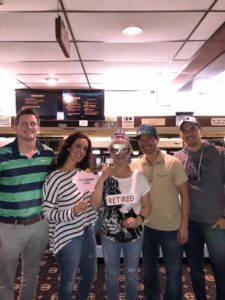 The entire office celebrated Connie with a bowling fiesta. We all wish Connie happiness and health as she beings this new chapter. The front desk won’t be the same without her! In April – National Oral Cancer Awareness Month, dentists around the country are making it a priority to stress the importance of preventive dental care to reverse the growing number of people succumbing to oral cancer. Your dentist in Brookfield joins his peers in the quest to fight this disease, but he’d like to go further. 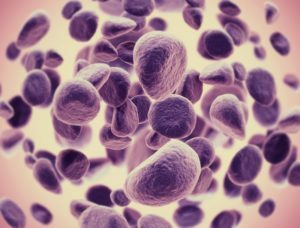 As you continue reading, he’ll explain how the health of your mouth, teeth and gums plays a key role in preventing the development of another form of cancer as well. Your Dentist in Brookfield Says You May be Living with a Dead Tooth! When you hear reference made to a dead tooth, you may think that it’s in regard to a new horror film. Unfortunately, it’s a very real condition that is best to be avoided. But if it happens, it’s good to know what symptoms to be on the lookout for. You can also feel secure in knowing that your dentist in Brookfield has methods to either restore your tooth or remove the problem completely. Learn more about this as you continue reading. Comments Off on Your Dentist in Brookfield Says You May be Living with a Dead Tooth! Another sweet baby has arrived! Our hygienist Kerrie W and her husband welcomed another baby boy into their family. Dex Raymond was 7.5lbs 9oz and 20.5 inches long. He is a sweet, beautiful baby and we are excited to share this beautiful picture with you! 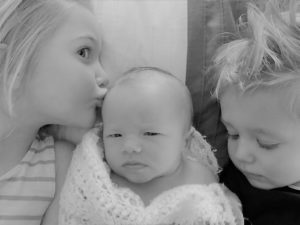 His big sister Elyse and big brother Jude love to help take care of their baby brother Dex. Congratulations Kerrie. What a cutie pie! Comments Off on Welcome baby Dex!